At today’s plenary sitting, the Riigikogu passed the Act that criminalises training for terrorism, and travelling for such purpose, and the carrying out, funding and supporting of terrorism. The Act ensures psychological and legal assistance to victims of terrorist crimes. The necessary elements of criminal offences against the Estonian state are specified. The Act on Amendments to the Penal Code and Other Associated Acts (transposition of the directive on combating terrorism) (642 SE), initiated by the Government, transposes the relevant European Union directive into national law. It also ensures conformity of Estonian law with the UN Resolution and the Additional Protocol to the Council of Europe Convention on the Prevention of Terrorism. Based on international requirements, besides other victim support services, the provision of necessary psychological assistance is ensured to victims of terrorism. It is ensured both to persons who have suffered as a result of an act committed in Estonia, and residents of the Republic of Estonia who have suffered as a result of terrorism abroad. Victims of terrorist offences are ensured state legal aid in criminal proceedings regardless of their economic situation. In addition, amendments are made to the Penal Code that specify and amend the necessary elements of criminal offences against the security, independence or territorial integrity of the Republic of Estonia. 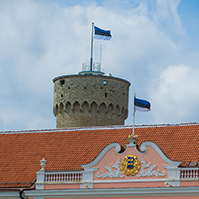 Liability of legal persons is also established for all offences against the Republic of Estonia. 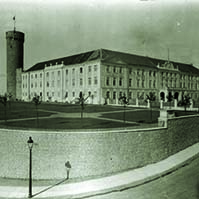 To avoid legal gaps, intelligence activities directed against the security of the Republic of Estonia, and supporting such activities, by an intelligence or security service official of a foreign state or a person acting in his or her interests or on his or her assignment are provided for as a separate criminal offence. The necessary elements of the criminal offences of the establishment or maintenance of a relationship that is against the Republic of Estonia, and anti-state influencing of officials are also specified. 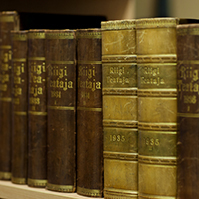 74 members of the Riigikogu voted in favour of the Act and five voted against. The Act on Amendments to the Credit Institutions Act and Other Acts (750 SE), initiated by the Government, establishes the ranking of unsecured claims resulting from debt instruments issued by credit institutions (banks) in the proceedings for the insolvency and resolution of banks. The Act updates the requirements for the capital, management and merger for banks and investment firms, and for insurance undertakings, and the bases for the formation of automatic motor insurance. The Act amends the bases for the resolution of banks and credit institutions, and specifies the cooperation of the Guarantee Fund with the guarantee schemes of other European Union Member States, and EU institutions. While at present banks are allowed to merge only with banks, in the future, it will be possible for banks to merge with other companies in certain cases. EU law does not require such an amendment, but considering that the regulation of credit institutions has been harmonised to a significant extent in the EU, when choosing a jurisdiction for a credit institution, the specification which is currently in force may give a significant advantage to another EU Member State where no such restrictions are in force. The Act provides that only persons who have the knowledge, skills, experience, education, professional aptitude and impeccable business reputation needed to manage a credit institution, a financial holding company or a mixed financial holding company may be elected or appointed managers of credit institutions, parent financial holding companies of credit institutions, and mixed financial holding companies. The Act will increase financial stability, and ensure the credibility and transparency of the financial sector and the sustainable functioning of the market. During the debate, Jürgen Ligi from the Reform Party Faction, Mihhail Stalnuhhin from the Centre Party Faction and Priit Sibul from the Faction Isamaa took the floor during the debate. 51 members of the Riigikogu voted in favour of the Act and 30 voted against. The Act on Amendments to the Animal Protection Act (734 SE), initiated by the Government, brings Estonian legislation into conformity with the EU directive that regulates the protection of animals used for scientific purposes. 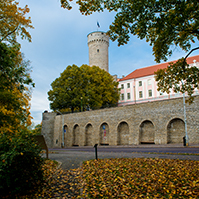 In the opinion of the European Commission, Estonia has transposed the directive inadequately, and that has resulted in infringement proceedings. The amendments concern the carrying out of animal tests, accommodation of experimental animals, and the related duties of undertakings. The explanatory memorandum notes that the European Commission’s remarks are mostly of a technical nature and concern issues related to wording, sentence structure and the use of deficient or incorrect expressions. 71 members of the Riigikogu voted in favour of the Act, four voted against and there was one abstention. The Act on Amendments to the Labour Market Services and Benefits Act and Other Acts (641 SE), initiated by the Government, specifies the requirement to submit a notice of economic activities, and the restrictions that prohibit charging fees personally for employment service and mediation of temporary agency staff, set for undertakings upon providing employment service and the service of mediating temporary agency staff. Under the amendment, in the future, the Labour Inspectorate will exercise state supervision of undertakings for compliance with the requirement and the restrictions. Under the earlier Act, the Ministry of Social Affairs exercised the supervision. 71 members of the Riigikogu voted in favour of the Act and five voted against. The Resolution of the Riigikogu “Extension of the Time Limit for the Use of the Defence Forces in the Fulfilment of the International Commitments of the Estonian State in the European Union Military Mission EUNAVFOR Med/Sophia” (745 OE), submitted by the Government, provides for contributing to operation EUNAVFOR Med/Sophia with up to six servicemen. The operation aims to restrict the freedom of movement of the human traffickers operating at the Libyan coast and to identify, capture and dispose of vessels and other assets used, or suspected of being used, by migrant smugglers or traffickers. Estonia started participating in the operation in August 2015 and will also continue participating in the coming year. 56 members of the Riigikogu voted in favour of the passage of the Resolution and four voted against. The Bill on Amendments to the Vital Statistics Registration Act and Other Acts (723 SE), initiated by the Government, provides that, in the future, duplicate certificates of vital statistics events (e.g. birth certificate) will be issued in multilingual standard forms if the persons so wish. Thereby the need to additionally translate or legalise documents, or the need for other similar formalities, will be precluded and the administration will become simpler for people. The amendment is necessary to implement a Regulation of the European Parliament and of the Council. It promotes the free movement of citizens by simplifying the requirements for presenting certain public documents in the European Union. The amendment will enter into force on 16 February 2019. In addition, the Bill provides for the additional possibility to apply for changes to the data of birth registrations. Before 30 June 2010 it was possible for the mother, upon the registration of the birth of a child, to apply for entering the name of the father into the birth registration also in the case when the mother was not married to the father of the child and no one had acknowledged paternity. In such a case, the name of the father was entered into the birth registration on the basis of the statement of the mother, although no paternity was created thereby. If the name of the father was included in such a way, that brought about no obligations towards the child for any man. The Bill provides for the possibility to delete the data of the father entered into the birth registration of a child on the basis of the statement of the mother if the legal representative of the minor child or the adult child submits a relevant application. 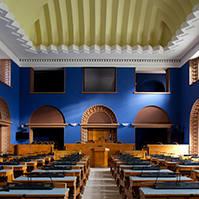 The Bill on Amendments to § 14 of the Health Services Organisation Act (293 SE), initiated by members of the Riigikogu Mark Soosaar, Helmen Kütt, Jüri Jaanson and Andres Metsoja, is intended to allow family physicians providing general medical care to perform radiographs and sonographic examinations if the physician has the qualifications necessary therefor, and the requirements set by the Health Services Organisation Act and the Radiation Act are met. The aim of the Bill is to make general medical care more efficient, to reduce the burden of doctors providing specialised medical care, and to reduce the waiting lists for consultations with medical specialists. During the debate, Monika Haukanõmm and Andres Metsoja took the floor and described the process of the proceedings on the Bill. 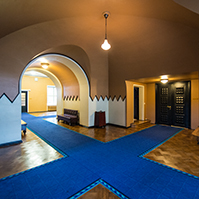 The Draft Resolution of the Riigikogu “Increasing the Holding of the Republic of Estonia in the International Bank for Reconstruction and Development” (772 OE), submitted by the Government, is intended to increase Estonia’s holding in the International Bank for Reconstruction and Development (IBRD) by 202 shares. The increasing of Estonia’s holding will help raise the funding of official development assistance. Thorough the bank, it is possible for Estonia to also impact the countries and regions where Estonia’s proportion of bilateral development cooperation is small or non-existent. Estonia’s contribution is nearly three million euro (3 370 542 USD). Contributions to increase the holding will be made over five years starting from 2020 (nearly 594 190 euro per year) and this has been taken into account in the state budget strategy for 2019-2022. At present, the amount of Estonia’s holding in IBRD is 1170 shares (valued at 141 142 950 USD), contributions for which amounted to nearly 5.2 million euro. The International Bank for Reconstruction and Development aims to reduce poverty and to improve the standard of living of people in its member countries with the help of financial and advisory services. Estonia became a member of the bank on 22 April 1992. The Bill on Amendments to § 11 of the Income Tax Act (770 SE), initiated by the Government, will amend the drawing up of the list of non-profit associations, foundations and religious associations benefiting from income tax incentives. This list is maintained by the Tax and Customs Board, and a non-profit association, foundation or religious association operating in the public interest and for charitable purposes who has operated for at least six months is entered in the list. Inclusion on the list brings incentives for both the associations entered on the list and donors to such associations. According to the Bill, the list of the associations will be updated on the first day of the calendar month and a resolution to enter the association into the list, refuse to enter it into the list or delete it from the list will be made within 30 days as of submission of the application. Under the current law, the list is updated twice a year and at present it takes a minimum of four moths to be entered into the list. The Bill is also intended to eliminate the committee charged with the task of recommending proposals to the Tax and Customs Board to enter associations into the list, refuse to enter them into the list or delete them from the list. The initiative to eliminate the committee has come from the Network of Estonian Nonprofit Organizations, and the aim is faster updating of the list of non-profit associations, foundations and religious associations benefiting from income tax incentives. In the future, the tax authority will cooperate with the third sector through sectoral representative associations. The Bill on Amendments to the Insurance Activities Act and the Law of Obligations Act (769 SE), initiated by the Government, will allow commercial associations to also operate as insurance associations. Under the current law, only public limited companies and European companies may provide insurance. Insurance associations will be subject to the same rules that apply to insurance undertakings operating in the form of a public limited company. An insurance association will have to apply for authorisation to pursue insurance activities from the Financial Supervision Authority. Also, the share capital of an insurance association will have to be equal to that of an insurance undertaking which is a public limited company. If an insurance association provides for example life, liability, credit or suretyship insurance, the share capital of the association will have to be at least three million euro. Upon provision of other non-life insurance, share capital will have to be at least two million euro. Insurance associations are distinctive in that the activities of the associations are based on membership and they must base their activities on the regulation of commercial associations. A commercial association is an association the purpose of which is to support and foster the economic interests of its members through economic activity. Compared to an ordinary commercial association, some specifications are provided for an insurance association. For example, an insurance association can be established only for an indefinite period because the authorisation of an insurance undertaking is for an indefinite period. 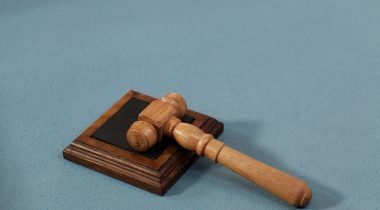 The Bill also provides for an exception in connection with the payment of compensation upon termination of membership in the association. If the association does not have sufficient funds to pay the compensation, the articles of association may prescribe that no compensation is paid or the deadline for making the payment is extended. Payments from profit may also not be made if the amount of the own funds of the association does not meet the requirements provided by law. Under the Bill, issues relating to membership of an association will not be restricted. It is possible for everyone to become a member of an insurance association as well as to terminate their membership under the conditions agreed upon in the articles of association. 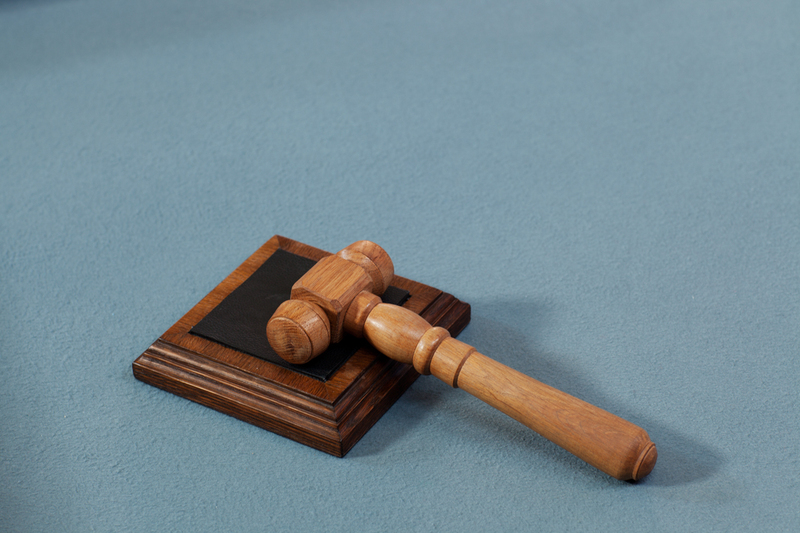 Associations will be able to decide for themselves whether they insure the underwriting risks of only their members or also those of other people and undertakings, except in the event of compulsory liability insurance. Then an insurance association must not prescribe conditions that restrict the right of a policy holder to enter into an insurance contract with the insurance association.